​Treat yourself to one of the best hotel values in Green Bay, WI. 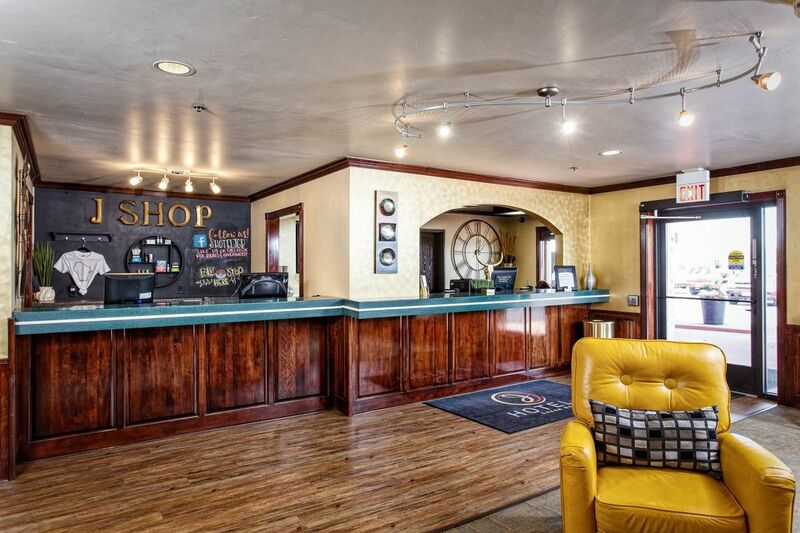 The newly renovated Hotel J Green Bay offers business and leisure travelers contemporary, beautifully appointed accommodations and a convenient location — only three minutes from Austin Straubel International Airport and six miles from downtown Green Bay. If you’re relocating to the area and need temporary accommodations, or if you’re planning an extended stay here for business, we’d love for you to call us home for a week, a month or longer. ​Step onto our free airport shuttle and check in within minutes of landing at the airport. Choose from a diverse array of rooms and suites, from our standard rooms to fun, uniquely themed rooms and suites unlike anything you’ll find in Green Bay, to our apartment-style extended stay suites. Start your morning right with our delicious, complimentary hot buffet breakfast in the J Room. Looking to maintain your workout routine while you’re away? Take a dip in our heated indoor pool or grab a complimentary guest pass to the nearby Bellin Fitness Center. PRODUCTIVE CORPORATE TRIPS. EXTENDED STAYS WITH ALL THE COMFORTS OF HOME. RELAXING FAMILY OR GROUP GETAWAYS. NO MATTER WHAT BRINGS YOU TO THE GREEN BAY, WI, AREA YOU’LL ENJOY WARM, PERSONALIZED SERVICE AT HOTEL J GREEN BAY.